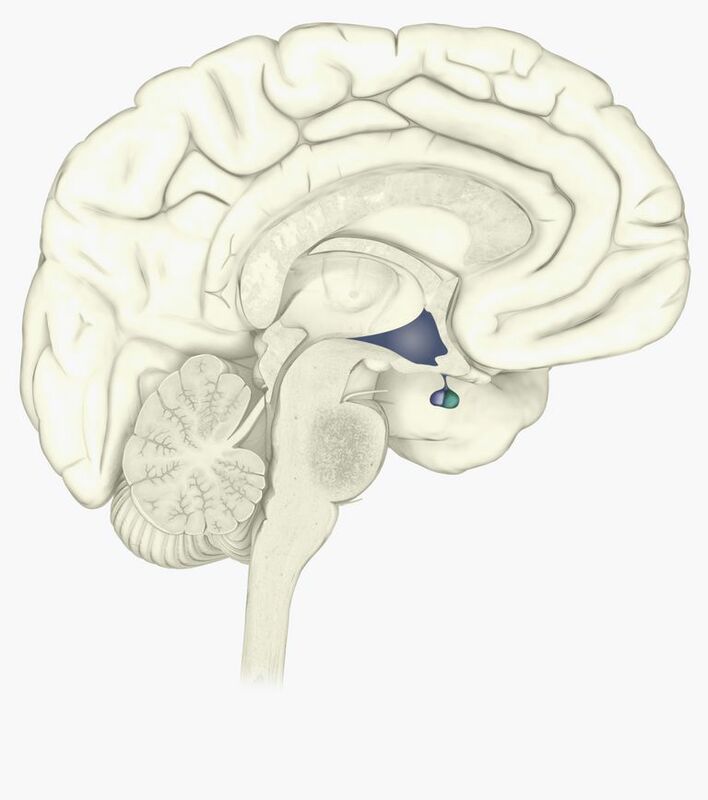 HPA axis is an abbreviation for a subsystem in your body called the hypothalamic-pituitary-adrenal axis. It describes a complex set of interactions between two parts of the brain—the hypothalamus and the pituitary glands—and the adrenal (or suprarenal) glands that are located at the top of each kidney. As a whole, the HPA axis is a major part of the system that controls your physiological reaction to stress. That covers psychological stress (the kind you feel when you're overwhelmed or upset) as well as physical stress, such as illness, trauma, and injury. The HPA axis also helps regulate a lot of other things in your body, such as your temperature, digestion, immune system function, mood, sexuality, and energy usage. When you look at that list of functions, and then compare it to the known list of dysfunctions and symptoms of fibromyalgia and chronic fatigue syndrome, it's not surprising that researchers went looking at how the HPA axis function in people with these conditions. That work has paid off, with disocveries linking both conditions to abnormalities in the HPA axis. In fact, some research suggests that the HPA axis plays a role in all central sensitivity syndromes, the family of illnesses fibromyalgia, chronic fatigue syndrome, and several other conditions that are believed to be in. Other central sensitivity syndromes include headache and migraine, irritable bowel syndrome, multiple chemical sensitivity, myofascial pain syndrome, TMJ (temporomandibular joint disorder), and restless legs syndrome. All of these illnesses are related to hyper-sensitivities of the central nervous system, which is made up of your brain and the nerves of the spinal column. Lower cortisol reactivity is tied to more severe chronic fatigue syndrome symptoms, according to research published in the journal Health Psychology in 2015. Childhood stressors may lead to dysfunction of the HPA-axis, which may in turn contribute to the development of conditions involving central sensitivity. Regular mild exercise, such as stretching, may improve function of the HPA-axis in people with fibromyalgia. HPA-axis dysfunction may be responsible for impaired function of the fascia, which is a body-wide network of connective tissues, in people with fibromyalgia. Some researchers have called for new treatment strategies that target the dysfunctional HPA axis in these conditions. The HPA axis also is involved in anxiety disorder, bipolar disorder, post-traumatic stress disorder, clinical depression and burnout. Given the number of conditions its linked to, a treatment for HPA axis dysfunction could help many millions of people live fuller lives. As researchers learn more about the HPA axis itself, they may uncover valuable information about the conditions related to its dysregulation, including how to treat and prevent them. Borsini A, et al. Psychological medicine. 2014 Jul;44(9):1809-23. Childhood stressors in the development of fatigue syndromes: a review of the past 20 years of research. Genc A. Journal of physical therapy science. 2015 Jul;27(7):2225-31. Does aerobic exercise affect the hypothalamic-pituitary-adrenal hormonal response in patients with fibromyalgia syndrome? Gracely RH, Schweinhardt P. Current rheumatology reviews. 2015;11(2):116-30. Programmed symptoms: disparate effects united by purpose. Kempke S, et al. Health psychology. 2015 Dec 21. [Epub ahead of print] Self-critical perfectionism predicts lower cortison response to experimental stress in patients with chronic fatigue syndrome. Liptan GL. Journal of bodywork and movement therapies. 2010 Jan;14(1):3-12. Fascia: A missing link in our understanding of the pathology of fibromyalgia. Tomas C, Newton J, Watson S. ISRN neuroscience. 2013 Sep 30;2013:784520. A review of hypothalamic-pituitary-adrenal axis function in chronic fatigue syndrome. Dripping with Sweat? It Could be FMS/ME/CFS! Disease vs. Syndrome: What's the Difference? Is IBS Common in Fibromyalgia and Chronic Fatigue Syndrome?